The use of medical marijuana in alleviating symptoms related to the treatment of cancer is one of its most well-known uses, and a recent study has found that the use of the drug amongst patients with cancer has become more and more common. In this new study, which included over 900 cancer patients located in Seattle, Washington, close to 25% said they used medical marijuana at some time over the last year. In addition, nearly all of those participating said they want to find out more information related to medical marijuana, showed data released of the study that was published September 25 in a journal called Cancer. 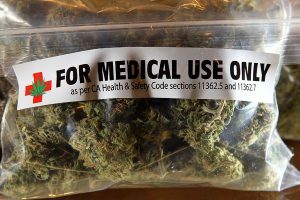 However, existing research on the effects of marijuana on symptoms related to cancer is very limited, said researchers. The study has underscored the important need for additional research into benefits and risks of using medical marijuana amongst cancer patients, said Dr. Steven Pergam the lead author of the study and a researcher with the Fred Hutchinson Cancer Research Center located in Seattle. Cancer patients want important information about using marijuana during treatment, but are not receiving it from doctors, said Dr. Pergam. Due to that, patients have instead sought information through nonscientific, alternate sources, said the doctor. In the just published study, researchers surveyed patients with cancer at a treatment center in Seattle. The survey listed questions related to using marijuana by cancer patients and questions about the beliefs of patients related to the drug. Researchers found that 24% of cancer patients in this study were active users of marijuana, which means they use the drug over the last year for symptoms related to cancer, and that 21% said they used the drug sometime in the last month. The rates were over double those posted in surveys done nationwide. Amongst those using the drug, researchers found 74% reported using the drug a minimum of once each week, 56% used it a minimum of once per day and 31% said they used the drug multiple times daily. Smoking as well as consuming edibles were determined to be the most common two ways of using medical marijuana, said researchers. Seventy-five percent of active users said they had used marijuana to help with symptoms that included nausea and pain, while 67% said they used marijuana in helping with psychiatric issues, including sleep and stress problems. Active users were younger than those not using marijuana and users cited legalization of the drug as a reason for its use.